My memory is that Mary McNair Mathews in the 1870s, in her memoir of life on the Comstock, talks about people from Reno riding out to the Moana Springs on Sundays for picnics. So I think the name was in use before the resort was developed. Oh, I’d love to see that, Steve! 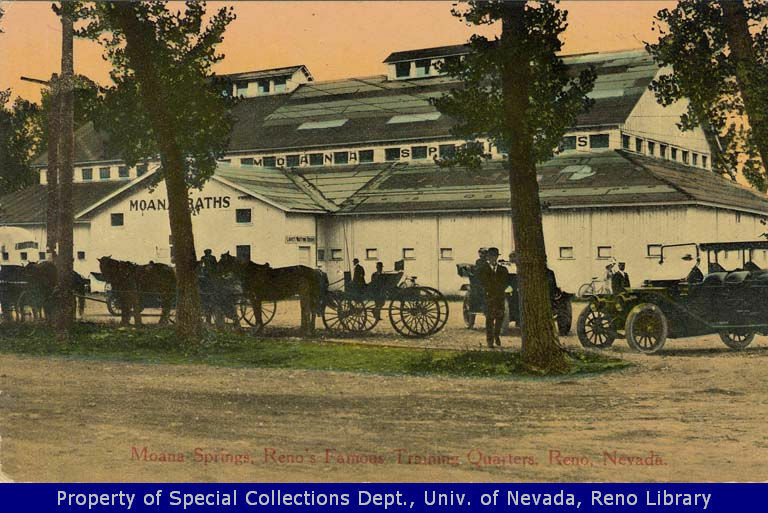 Earliest reference I’ve found is a 1905 reference to the “New Moana Baths, located 2-1/2 miles south of Reno.” You could take an automobile there from the Hotel Golden before the Nevada Interurban Railroad opened their streetcar line in 1907.